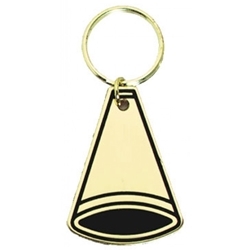 1.5" x 2.25" Cheerleading Brass Key Chain Medals. Great participation or motivational item. We add a gold plate to the back with your free personalization information. Item Size 1.5" x 2.25"